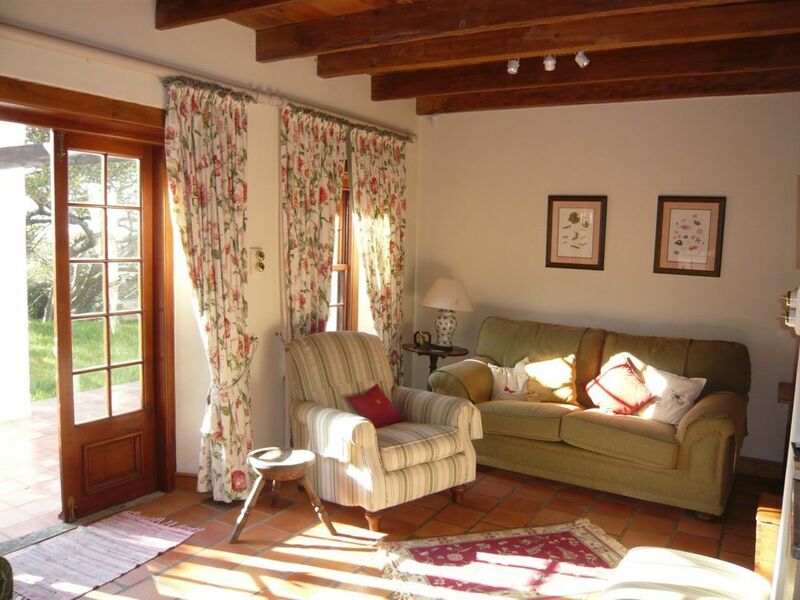 Fig Tree Cottages is surrounded by huge and magnificent fig trees. Tranquility and privacy guaranteed. 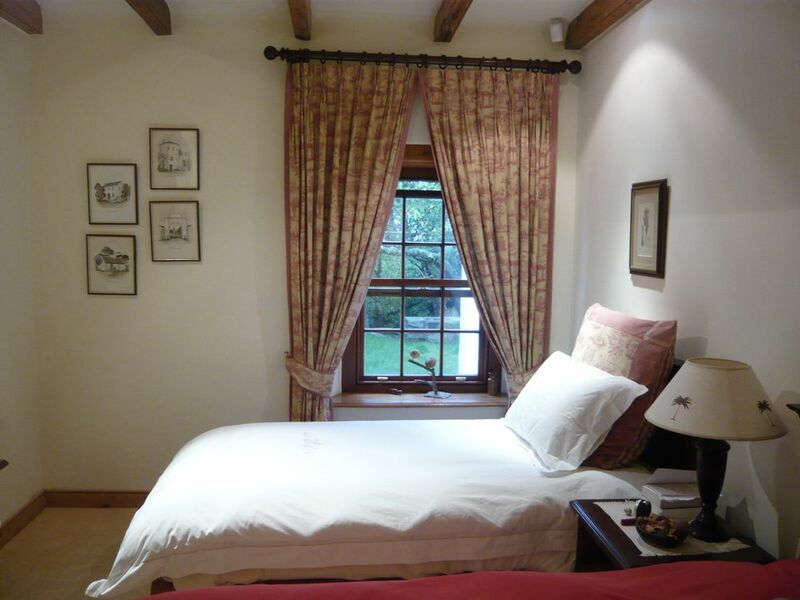 A fully equipped 2 bedroom cottage, ideal for families. 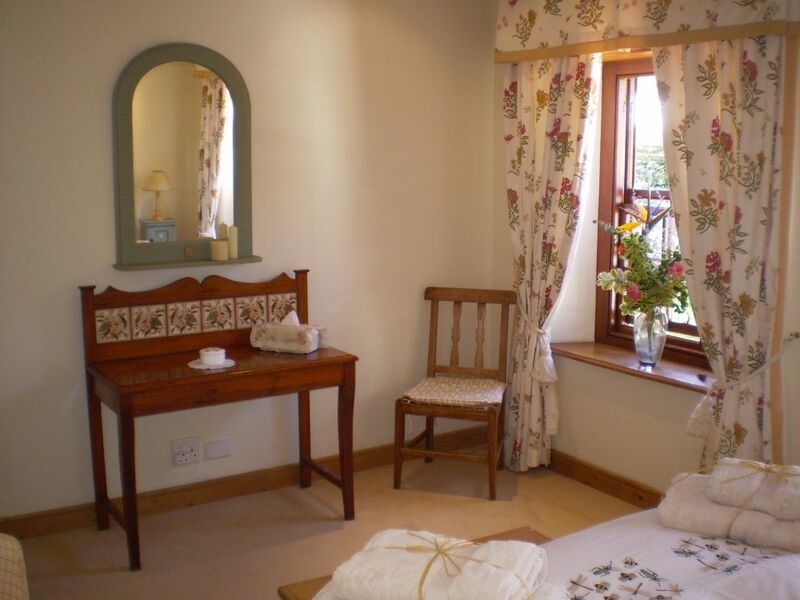 Two bedrooms - one with twin beds, one room with double bed (Cottage sleeps 4). 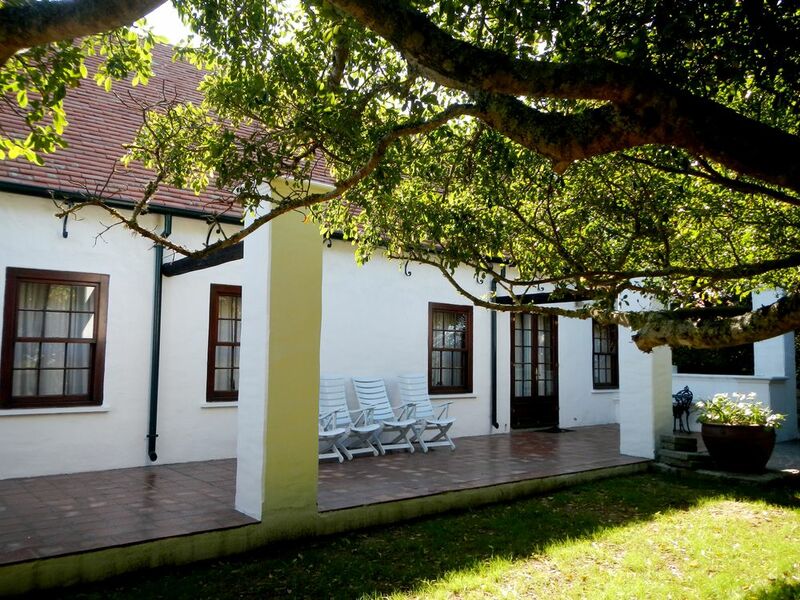 Fig Tree is named for the magnificent old fig trees (ficus burkeii) facing the cottage. These provide not only our guests' garden shade, but also much bird activity. We sometimes see a spotted eagle owl in these trees, as well as kynsna louries, Cape white eyes and green pigeons, all attracted by the ripening figs in summer. 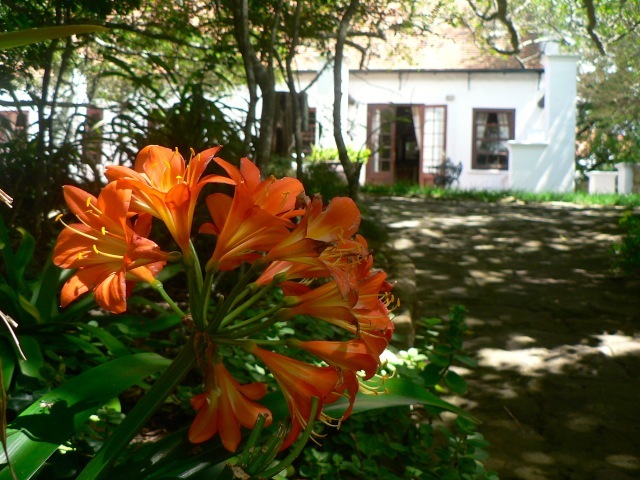 In September the flowering orange clivias in the garden beyond are a feast for your eyes. A few years ago even a pair of rare tree hyraxes (tree dassies) was spotted from the Fig Tree verandah. In keeping with this special garden corner we decorated this cottage in the reds, golds and greens of a ‘birds-bugs-and-botanicals’ theme. 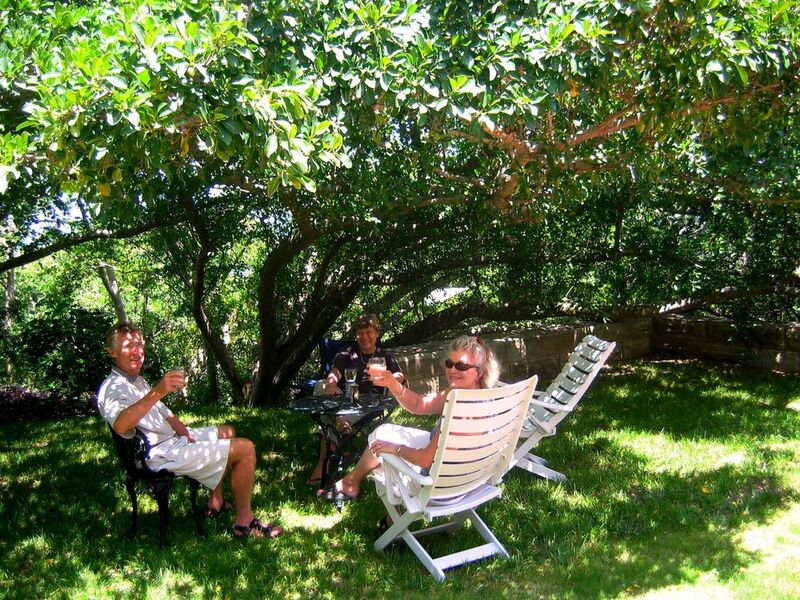 Fig Tree Cottage now has its own shady little reading or sundowner spot: a 'fairy dell' where a fire can be lit and a Weber braai enjoyed on a balmy evening.